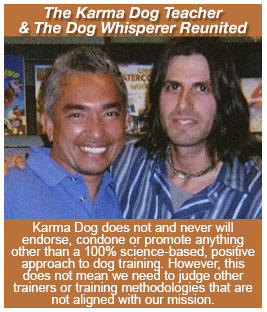 Karma Dog Training, established in 2004, has the sole intention to teach our clients how to come from the highest, most enlightened perspective when raising their dogs utilizing 100% positive-based, science-based methods endorsed by the AHA, HSUS, SPCA, ASPCA and most Schools of Veterinary Medicine.  Featured on NBC, CBS, ABC and countless other news outlets, Karma Dog Training is a Veterinarian endorsed dog training company and professional member of the Association of Pet Dog Trainers (APDT # 77541), an organization which prides itself with a mission toward enhancing the human-canine relationship through education and dog-friendly training. 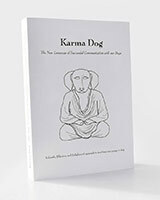 Known for his inimitable ability to clearly see through to a dog's soul and become conscious of the root of all behavioral issues, Jeffrey Liebowitz is a spiritual teacher whose intention is to teach people how to come from the highest, most enlightened perspective when raising their dogs. He is the founder of the not-for-profit educational group, Trainers who Participate in Socialization Parties (TPSP #1), an organization comprised of professional dog trainers and licensed veterinarians who have joined together in the interest of puppies everywhere to help facilitate the all-important early socialization process. In addition, Jeff is the creator of the Dogs in Recovery program, which is a 12-step program/support group for dog parents with aggression issues. Not only that, Jeff has developed a Zen like application for teaching called the Karma Dog Training Method, that is considered among his clients to be the most gentle, effective and enlightened approach to puppy/dog training available. His new book entitled, Karma Dog - The New Language of Successful Communication with our Dogs, will be on sale by the end of the year. Hailing from a small town in West Texas, Taylor has spent her entire life working closely with animals. While other little girls enjoyed Barbies and princesses, Taylor spent her time dreaming about horses and playing "Veterinarian" with all of her stuffed animals. Her youth was filled with horseback riding on her family farm and volunteering at an animal shelter. 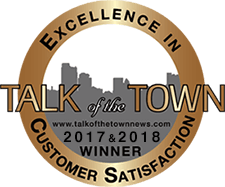 After graduating from the University of Texas at Austin and owning a commercial art gallery for a number of years, Taylor joined the Karma Dog team first as an office administrator and client relationship specialist. Today, she's graduated to the role of Vice President and Managing Director where her focus lies largely with client success management, human resources, business operations. As Karma Dog's Operations Manager, Jamie loves her job! In addition to being able to spend her days with her two wonderful dogs who she adores more than anything in the world, she gets to help other people find the best training options for their four-legged family members. In addition to her two dogs, Jamie's has two giant fish aquariums consisting of various types of South American Cichlids. During the few breaks she has from Karma Dog, Jamie enjoys beach days with her pups and taking them to various green belts around the city. Megan Schenfeld actually adopted her first dog, "Apollo", around the same time she began working for Karma Dog way back when she was still studying to be a fledgling yoga teacher. Megan learned through Karma's compassionate approach, how to communicate with her beautiful friend in a way she never thought possible. Years later, Megan has helped humans and dogs alike learn about connecting with each other on a deeper level. She hopes to save the world one dog at a time and is happy for the opportunity to help humans and dogs be their best selves. When Megan is not going on adventures with Apollo or working with the Karma Family, she likes to travel, teach Kundalini Yoga, and spend time with good friends. The "Wonder Woman" at Karma Dog Training who loves learning new things about all breeds and behaviors, Rose is the quarterback behind the scenes whose job it is to make sure each client has all the pertinent information they need on their way to becoming a new client. Rose spends her day with her eight-year-old Maltese, Peesh, right by her side and who she has had since she was a pup, and just like any dog lover, wouldn’t trade her for the world. When Rose is not directing clients to the right trainer, she is dancing and choreographing her way across the country. Her ultimate goal in life is to own and run a rescue ranch and elderly animal sanctuary where bully breeds and all others will be welcome to seek asylum and/or live out their final years surrounded by love. Kelsey is a St. Louis, Missouri native who always had a love for the neighborhood dogs growing up. When her friend’s beagle had a litter of puppies in the 6th grade, her dream finally came true. With the promise of training, walking, and cleaning the yard, her new best friend Hobbes came home just in time for Christmas. She and her dad went through puppy obedience school with Hobbes, and she loved every minute of it! After finishing the course, she continued training him on her own and learned how to communicate with him. Throughout high school, Kelsey was the go-to dog sitter for all the neighborhood pups. After high school, she pursued a career as a chef and graduated culinary school with honors and a degree in Culinary Arts. In 2013, Kelsey moved to Los Angeles. It broke her heart, but an elderly Hobbes stayed home with the family. Three days after living a horrible dog-less life, she adopted an 8 week old Boston Terrier puppy. She trained Yukon herself and quickly rediscovered her love of dog training. In 2014, she decided to leave the restaurant world and joined the Karma Dog Team! She still loves to cook, but as a hobby, along with acrylic and watercolor painting. In addition to working in the Karma Dog Office, you can find Kelsey co-teaching Karma Puppy Kindergarten and Basic Communication group classes. Her dog, Yukon, is now certified as her Emotional Support Animal, and he often flies back home with her to visit the family. 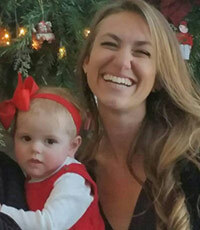 Brooke believes that she has grown from this Earth for two reasons; to be the best Mom she can be and to help dogs and their humans in the best possible ways. For Brooke, being a Dog Trainer means being a translator between humans and their canine children; to help each species have better communication with each other and to become a cohesive part of one another's lives. Brooke believes there are many paths one could take to get a desired result, however, she often finds that stepping back and looking outside of the box can inspire creative, efficient and successful ways to communicate with a dog that bring about results that are satisfying for both humans and dogs. Brooke became a part of the Karma Dog Training team as a lead trainer but with her ability and creativity to train dogs as well as her intense work ethic, she quickly moved her way up in the company becoming Senior Training Director. 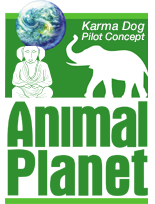 She was the first trainer at Karma to take part of what we call our "Rockstar" Reverse Board & Train program and trains new dog trainers to start working in every program Karma offers. She takes her job to the next level by not only being 100% available to our Karma Dog clients but also to our Karma Trainers. She has a very positive outlook on life and is our most motivated team member. In her spare time, Brooke volunteers at her local Humane Society in order to offer her services to her community, and so that she may help as many animals as she possibly can. She believes that most of the dogs at the Humane Society would not be there if they were better understood by their human friends. She is determined do everything in her power to help keep dogs out of shelters and has successfully rescued, rehabilitated and re-homed many dogs since she first began working at Karma. Brooke absolutely adores teaching dogs and helping in her community. This calling is not a job to her - it is her dream, her service and her passion in life. Allyson thrives by empowering people to better understand and communicate with their animal counterparts to live more enriching lives together! 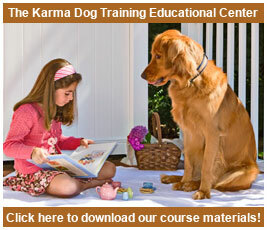 Within Karma, she works both as a Service Dog Training Director and a Behavioral Trainer. 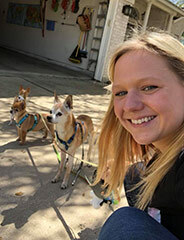 In the DFW area, Allyson specializes in private training sessions aimed at either modifying behaviors such as reactivity, aggression, and separation anxiety or training individuals who want their own dog to be a therapy, emotional support or service dog. As the Service Dog Training Director, she connects clients with trainers in their area and serves as a resource for both trainers and clients as they work towards their goals in a positive way. Allyson is passionate about ensuring that every individual has the information and guidance needed for their relationship to be successful! Allyson studied Behavioral Psychology at Texas A&M University in order to better understand the concepts behind learning. motivating and modifying behavior using reinforcement. She also became involved in a local philanthropy group called Aggie Guide & Service Dogs where she was a trainer for two years. She then became the supervisor of AGS for the following two years where she oversaw the training of 20 dogs from 8 weeks to 2 years of age. The quantity of dogs provided a variety of challenges specific to each dog; she learned valuable skills such as how to pick puppies suited for service work, train basic obedience, use positive reinforcement behavior modification techniques to address problem/nuisance behaviors, overcome fear or reactivity issues and teach task work advanced commands. But more importantly, she learned how to convey and teach those training tactics to their full time handlers so that they could be successful in training as well. 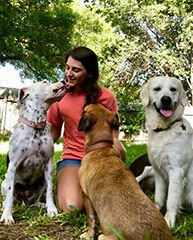 After graduating, Allyson was offered a job with MADE in Texas Assistance Dogs as the Lead Service Dog Trainer in Fort Worth where she has trained over 30 service dogs for individuals with PTSD, Diabetes, Autism, and mobility impairments in the past three years. 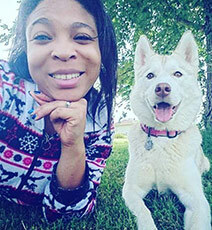 Allyson currently lives with her dog-loving husband, Tyler with their rescue, Aussie/agility enthusiast, Kaiko, and rat hunting Bordoodle, Ace, in Benbrook TX. Kaitlan’s love of animals has been evident since birth. From bottle feeding abandoned puppies and kittens as a child to interning at the Zoo during college to training dogs as an adult. Growing up, Kaitlan had many different types of pets including cats, birds, rodents, ferrets, fish, turtles, and of course dogs! She has had many different breeds of dogs--from Chihuahuas to English Mastiffs and everything in between. 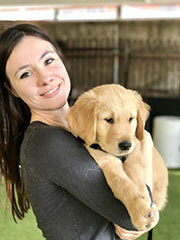 She was first introduced to dog training when she was 7 years old. Her father began to show his German Shepherd, Sergeant, and taught Kaitlan some of the commands that the dog knew how to do. She loved how practicing these commands strengthened the bond between her and Sergeant and helped her to learn dog body language. As an adult, Kaitlan continued to expand on her knowledge of dog training and body language. Kaitlan really knew dog training was her calling after she adopted Sadie May (the spotted beauty pictured). 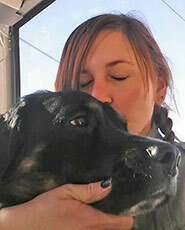 Sadie was an owner surrender to the local city shelter on the verge of being euthanized when Kaitlan stumbled upon her. Sadie was emaciated and distrustful of new people. The moment Kaitlan saw that sad, skinny dog in the kennel, she knew Sadie was going to a part of her family. Sadie has taught Kaitlan as much as Kaitlan has taught Sadie. Sadie inspired Kaitlan to help other misunderstood dogs be their best self. 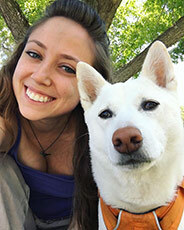 Kaitlan is one of Karma Dog's Training Directors, as well as one of our top behavior specialists. From a very young age, Jennifer-Monique Sturgeon has had an awareness of the energy of all living things. With such keen sensitivity, she was able to discern that despite outward appearances between species, there were more similarities that we shared, rather than differences. Such commonality was one of the soul, and the contrariety being only whether it was a human or animal experience. As a Lead Trainer and a Canine Behavioral Therapist, Jennifer-Monique believes it is important to guide your pup through the process of socialization by applying what she calls “Mindfulness Training” by focusing and reinforcing desired behaviors in each moment as they arise. Throughout the ten years of her profession, she has found that Positive Reinforcement methods facilitate healing in both human and animals alike. More often than not her clients exclaim epiphanic “Aha!” moments as she explains the parallelism in human and dog psychology through the visual language that we share. She believes that expanded awareness of such similarities emboldens the bond between human and dog and can ultimately even lead to a better understanding of oneself and the world. In session, Jennifer-Monique utilizes a combination of prevention and management as well as the process of adding and subtracting stimulus to modify behavior. 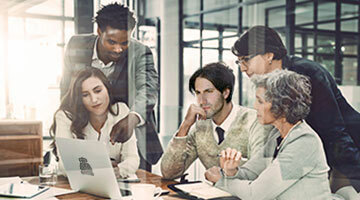 When problem solving, she believes that repetition, consistency and building momentum are the three key elements to a successful training outcome. Jennifer-Monique believes that having an awareness of the context in which behaviors occur as well as utilizing process of elimination to determine the root of the problem are foundational in training. 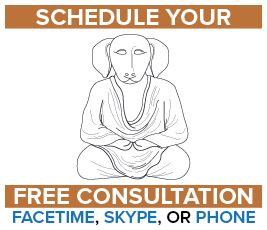 She is passionately committed to guiding along the human and animal experience through conscious connection and empowered communication. Love, peace, kindness, communication, connection, balance & harmony are the steps Skyler enjoys to live by in life & in training. A graduate from Animal Behavioral College and a Healing Touch For Animals practitioner, she was a young age when she knew that there was a joyful interconnection between her and dogs. "Our companions have so much to teach us when it comes to living in harmony with nature and having a healthy balance in life." Growing up, Skyler wanted to be a Veterinarian but she soon realized that she didn't know how to come to terms with putting animals peacefully to rest when it came time. An inspiration hit her when she was a host at a restaurant and saw a young woman and her canine pup at a table patiently waiting to be greeted. She walked up and respectively asked for more information on her pup. The woman had stated that it was her service dog in training. It was then that a light bulb went off. It was at that moment when Skyler knew her ultimate passion in life was to become a dog teacher. "Human beings can be really challenging when dealing with our emotions." And that's why Skyler is full force on helping others to achieve a relaxed mindset. 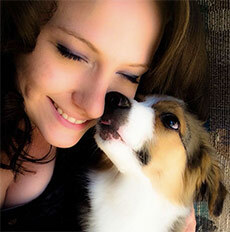 Dogs 3 main communication systems are energy, body language, & vocalization (along with pheromones scents & taste). Whatever we project they reflect. Communication is a huge key on how we can relate to our dogs and others. This is why Skyler believes it's so important to tune in to their body language and other signals to receive what our pups are truly relaying to us. Creating positive reinforcement techniques not only teaches us how to respond and react to our pups hiccup moments, but also transfer those qualities on how we react to obstacles of our own in life. Eric honestly can't think of a time in his life where his family didn't have a dog, and now can't seem to call a place home without one. He spent so much of his childhood around dogs that he began to have a connection with any dog he came in contact with. After a personal tragedy with one of his animals in childhood, he was changed forever. He knew that he needed to help guide them in this crazy urban world we humans have created. Eric sought out training years later. He held to the trainer instructions, which yielded a beautiful result- a great dog who he could protect and keep with simple routine training. Ironically enough, Eric began working with horses at Medieval Times. There he learned not only swordsmanship but from horseback. In that endeavor he was taught that the horse and the rider must be one. Not one controlling and the other obeying, but a partnership and a relationship that had to be felt. Through that accomplishment he saw the way he wanted to work with animals and people. 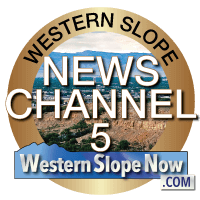 He sought out the Animal Behavior College, and graduated in 2011. Since then he has fallen in love with the endless connections he sees in everything. He has a passion for helping people find their connection with their best friend, and with a little structure, also helping keep that best friend around. When he trains an animal, he takes his time to communicate to the owner what their dog is doing, thinking and feeling. Dogs give their undying love, affection and attention to us, which to Eric means we would be selfish to do anything less. 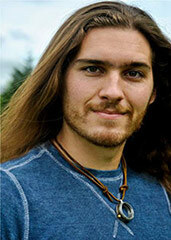 When Eric first read Karma's mission statement he knew he had found a place he wanted to be a part of. 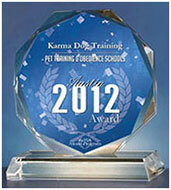 The idea of Karma Dog Training is that you get back what you give out, and Eric believes that completely. Eric started with only a certification Basic Obedience Training and since then has become a CGC (Canine Good Citizen) Evaluator and one of our Training Directors. Brenna first love for dogs started when her parents got a black lab puppy when she was less than a year old. With 7 younger brothers and always had a wide array of animals to keep her company, she grew up around horses, dogs, cats, and any other wild or companion animal she brought home. She rode competitively in Hunter Jumper through High School and has always had a special bond with horses. Her first experience with training beyond family dogs came in the form of a black lab puppy named Felton who she raised for Guide Dogs for the Blind. 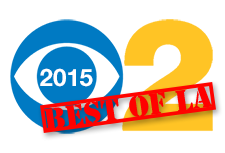 Felton is what sparked her interest in not only training dogs but helping others. 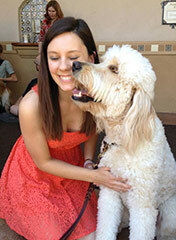 Felton went on to become a Guide Dog in Ohio and Brenna still gets frequent updates. After Felton, Brenna has raised 2 more Guide Dogs, one of which was career changed and has become Brenna's best friend. Raising Guide Dogs ignited a passion in Brenna for helping people and dogs form life-long partnerships and unbreakable bonds. Having the love of working with Service Dogs instilled in her early, Brenna loves creating ever-lasting partnerships between service dogs and their handlers. She loves all her service dog clients, but has a huge fondness for creating relationships between children and their service dogs. She also holds psychiatric service dog clients close to her heart. She has been handling dogs in publics since 2005 and is very versed in the unique experiences that handling service dogs brings. Between raising Guide Dogs, Brenna became involved in an animal rescue. She started out as just a weekend volunteer but quickly got suckered into fostering an adorable doe-eyed pit bull. That one fostering case turned into over 100+ dogs that she fostered. Many of the dogs had behavioral problems from circumstances before they were rescued. 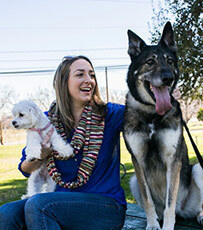 These dogs granted Brenna the experience of working with them to overcome past trauma and issues. In rescue she worked dogs through fear aggression, separation anxiety, fearfulness, and possession issues. Seeing the transformation in the rescues gives Brenna the most amazing sense of satisfaction and joy. She currently still fosters for a local rescue group and especially loves Behavior Modification work that involves fear and fear aggression. Brenna believes that in every relationship, open lines of communication are incredibly important. Brenna wants to help both the guardian and their dog to communicate effectively with each other to really help grow their bond and relationship together. She also believes that dogs are family and each family is different. 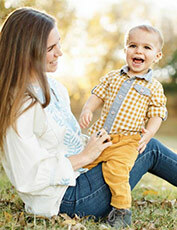 She wants to help tailor each training program to individual families.